While mini-bars around the world are known as an overpriced scam with an outrageous markup value, the value on this one is worth every penny. The quartet from the UK known as Minibar have made a name for themselves in mainstream rock throughout their 12-year history. their unique blend of American rock and British pop will be on display at Roseland Ballroom in NYC on March 16. 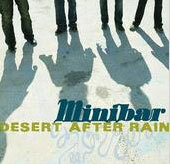 While originally starting out as a trio, Minibar have seen some lineup changes over the course of their existence. Singer Simon Petty started the band in 1994 and has since seen the addition of current band mates Tim Walker (guitar), Malcolm Cross (drums) and Sid Jordan (bass). With this current line up the same since the latter part of the '90s, the group has turned over a new leaf and come out with a new album that pays tribute to their journey together throughout the years. To follow up the success in 2003 from their previous LP, Fly Below the Radar, the band released their newest album, Desert After Rain. What makes this album unique is that it has been produced independently instead of under some major record label as in the past. The album was released on Feb 6 of this year and in addition to its release the band has embarked on a promotion tour along with Pete Yorn. Roseland Ballroom is located at 239 W.52nd St. Tickets are $30 in advance. Show starts at 6:45 p.m. For more information, log on to minibarmusic.com.